The two quick days we spent in Boston were far from enough time to explore the city properly, but after meeting up with Boston-native Adventurous Kate for a drink, it was decided that the best way to maximize our time in town would be to take the Freedom Trail. 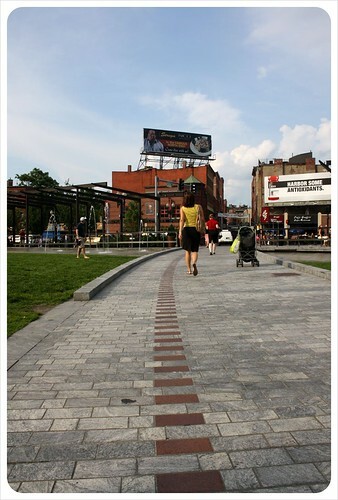 The 2.5 mile long trail is marked by a red line on the ground which takes you through different neighborhoods and combines historic and contemporary Boston sights. Even total map-o-phobes should have no problem sticking to the trail as it passes 16 significant historical sites that played a role in the American revolution, such as the site of the Boston Massacre, Bunker Hill monument, a Benjamin Franklin statue, the Old North Church, the Old State House and the Old Southern Meeting House where the Boston Tea Party was initiated. We started in Boston Common, the oldest public park in the United States. 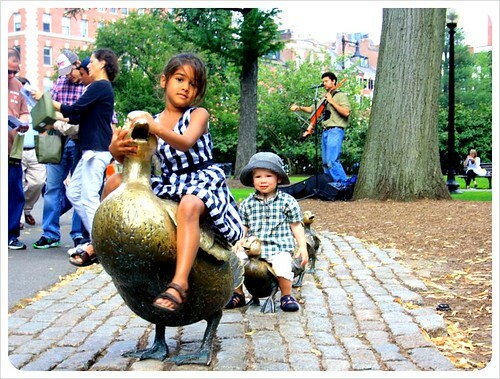 The famous Ducklings statues refer to the main characters of the popular children’s book – Make Way For Ducklings. 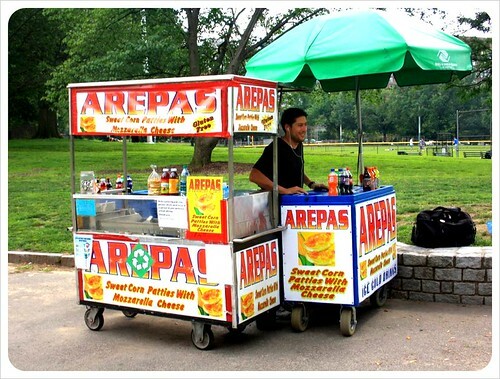 Though not technically a part of the Freedom Trail, we were very excited about the street food vendor selling Peruvian arepas in Boston Common. 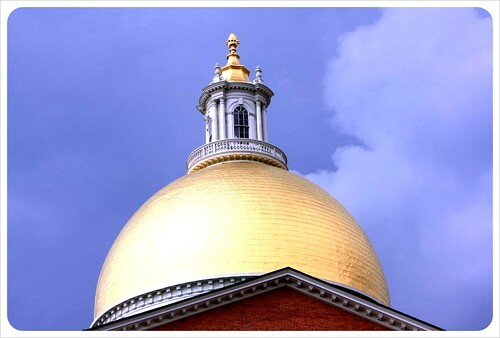 We stopped and chatted with him for a bit before heading to the Massachusetts State Capitol with its distinct golden dome and further on towards the King’s Chapel & Burial Ground. 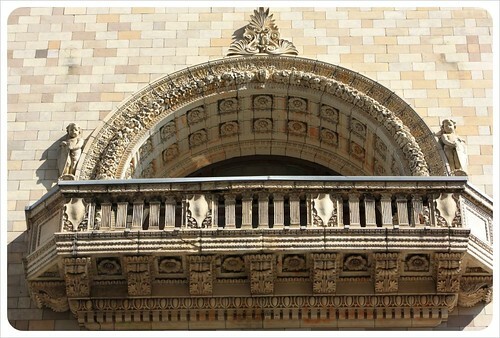 The architecture in the city is as intricate as the Irish Famine sculpture is vivid. 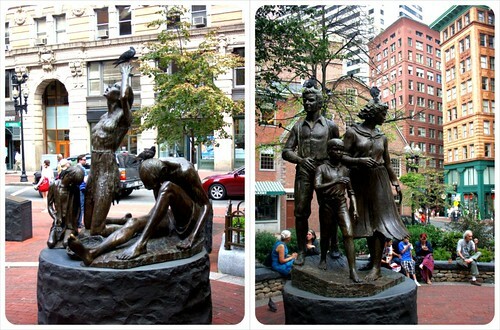 It depicts the tragic of the first Irish immigrants in Boston and the triumph of later arrivals. 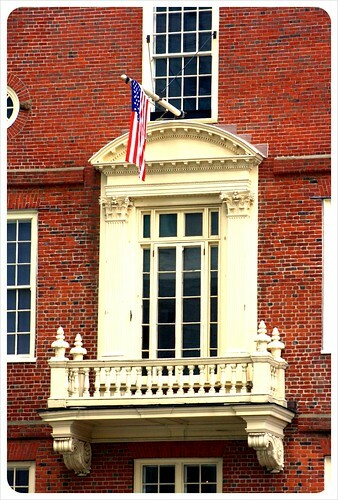 We finally arrived at the Old State House, and it was on this balcony where the Declaration of Independence was read to the crowds on July 18, 1776. 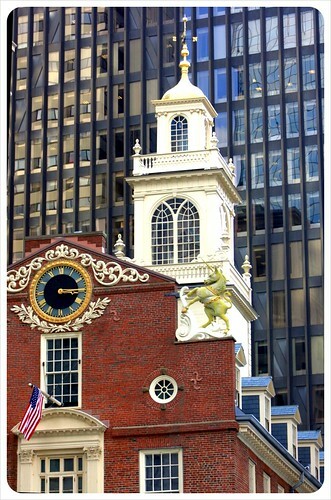 Love that contrast between the Old State House and the modern architecture of the surrounding skyscrapers along the Freedom Trail! 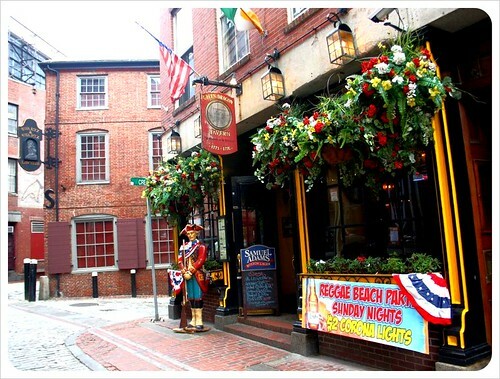 Next stop – Sam Adams. Not a beer, but the actual sculpture of Samuel Adams, leader of the American Revolution and one of the Founding Fathers of the United States. 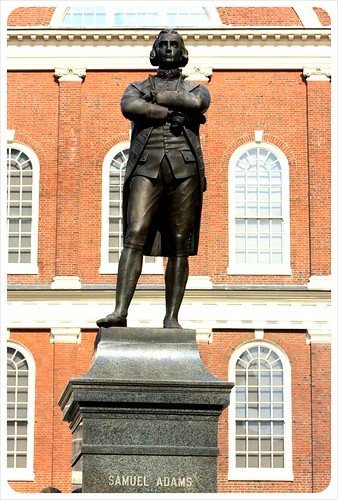 Mr Adams stands proudly in front of another historic building: Faneuil Hall, where he had held many important meetings and speeches, which eventually led to America’s independence. 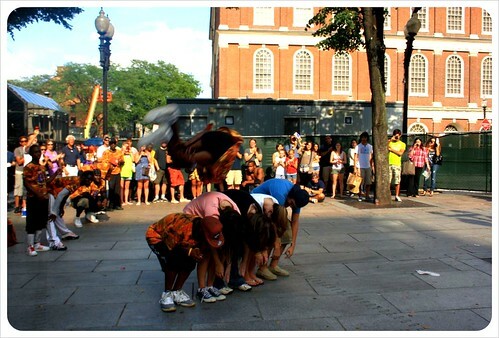 The red line then led to Boston’s famous Quincy Market, but just before that we bumped into a terrific group of break dancers who entertained a huge crowd with their moves. Check out this guy flipping over five fully-grown adults! Amazing! 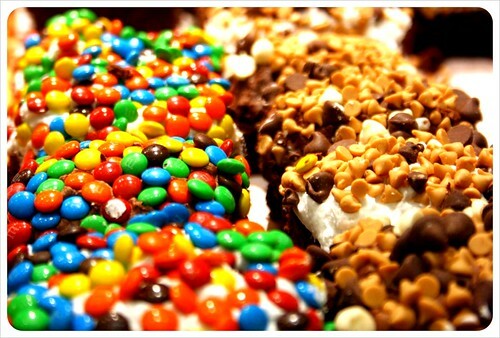 Quincy Market was easily one of our favorite stops along the trail – a paradise for foodies! 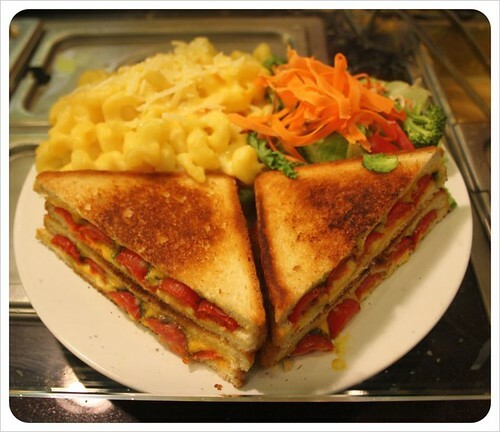 There are dozens of food stands lined up, and while they ain’t healthy, they sure offer up some delicious concepts and cuisines. 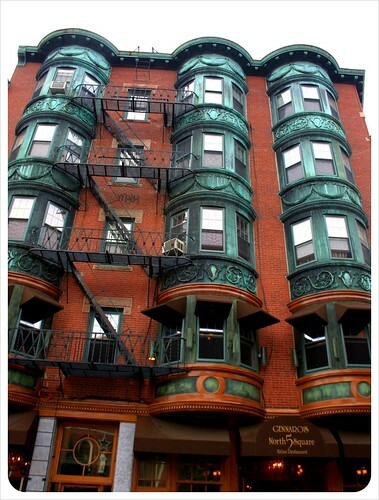 We now found ourselves in a part of Boston that, with its red brick buildings, could have been central London. 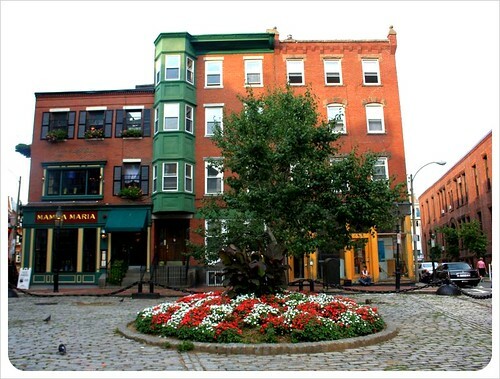 The North End is not only Boston’s oldest neighborhood (since 1630), but also serves as one of the best ‘Little Italy’ neighborhoods we have come across in the U.S., from the buildings to the food. The Italian bakeries have some seriously amazing goodies and we immediately picked up a pair of cannolis (which were the best we’ve ever had). 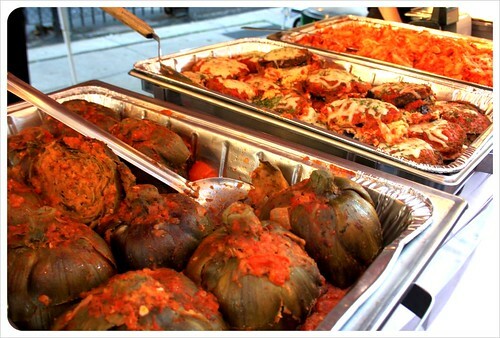 With the crumbs still on our lips, we stumbled upon an Italian food market. Every.single.dish made our mouths water – from fried artichokes to lasagna, and all kinds of pasta dishes… we wanted to try everything! 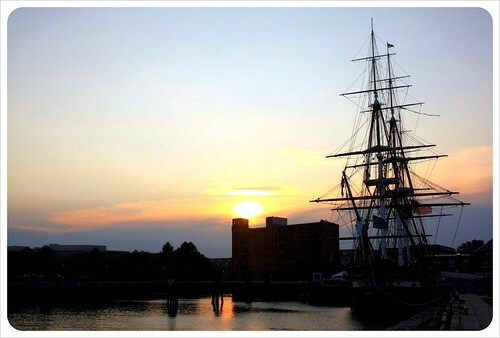 We then followed the Trail to the Charlestown Bridge and picked up the pace to make it to visit Old Ironsides just as the sun began to set. The ship, otherwise known as the U.S.S. Constitution, is the world’s oldest floating commissioned naval vessel and stuffed with navy officers who, along with their active duty, help run the ship as a tourist attraction. So glad that you two had a great day on the Freedom Trail! And I think you’re the first people who I’ve ever heard say that the North End reminds them of London! Kate, believe me, the cannoli made our day 🙂 SOOOO delicious! Little Italy alone is reason enough for us to go back to Boston! Looks like a great city walk. I have never seen arepas outside of Colombia before – I love the Latin American influence in the US. 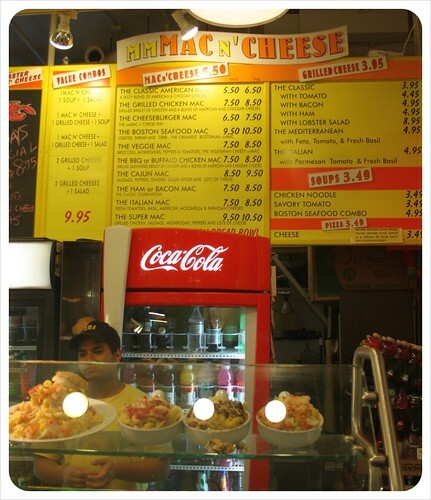 We’ve actually had some really good arepas at Camden Market in London, but we hadn’t seen them in the U.S. before! But there was a whole restaurant dedicated to arepas in Toronto, which we were super excited about – only to find out that the arepas there were not good at all. 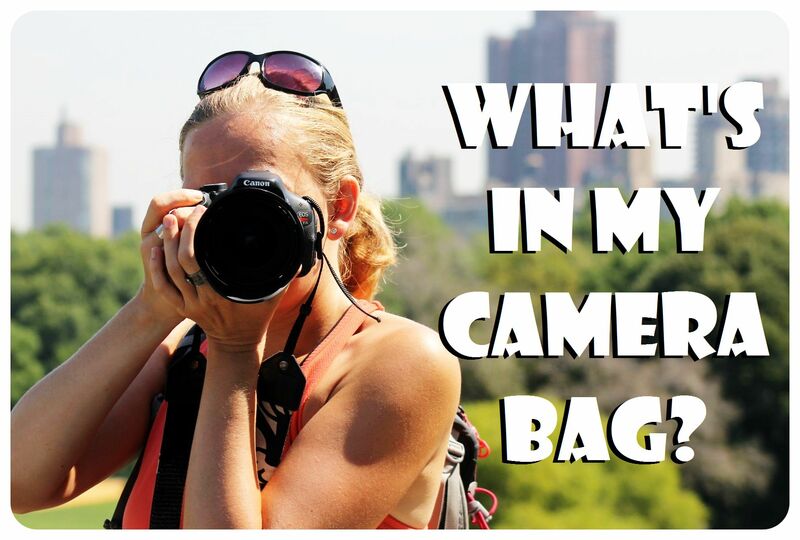 I love how you shared your freedom trail experience in Boston through photographs. 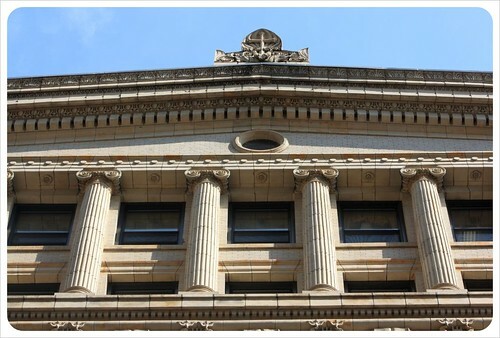 I admire the architecture and every detail of the buildings. 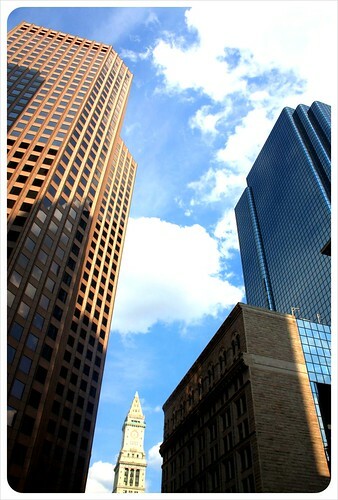 I hope I could be able to go to Boston someday. 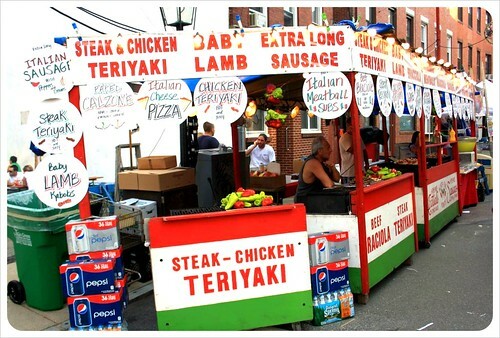 It is because I want to visit Quincy Market and try different kind of cuisines. 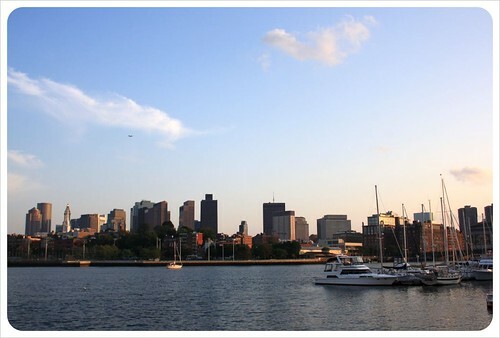 Thanks Stephan – Boston is definitely worth a visit! Oh Boston! 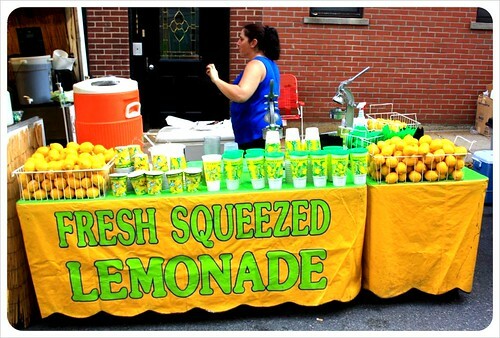 This post makes me miss this city. The city where Mike and I met 10 years ago. We only have been back but that’s already 8 years ago.